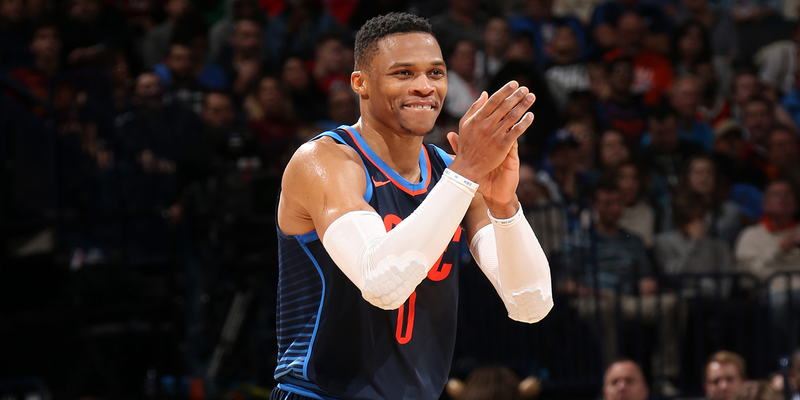 The Thunder are 11-4 in their last 15 games. Have they figured it out? Are their problems behind them? It was late in the 4th quarter, a Christmas Day nail-biter against the Rockets. So, as they have in almost every close game in the last few weeks, the Thunder turned to their Hawk set to finish the game. 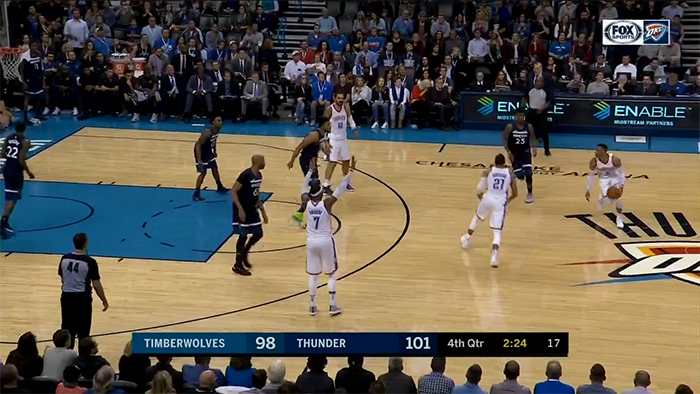 It’s a set I’ve written about a few times before, one that involves all three of their stars simultaneously, forcing the defense into more difficult choices than the “your turn, my turn” pick-and-rolls and isos that characterize many of the Thunder’s other half court sets. 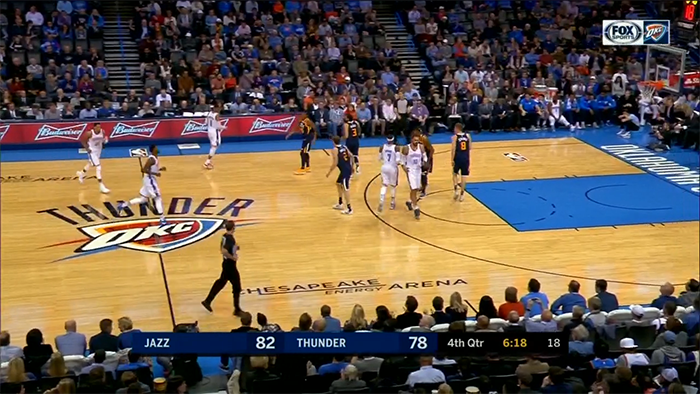 It might help for Westbrook to get the ball lower, closer to the free throw line extended, to have a better angle to make the pass, but it still requires George to make a scoring cut and look for the ball in the first place. 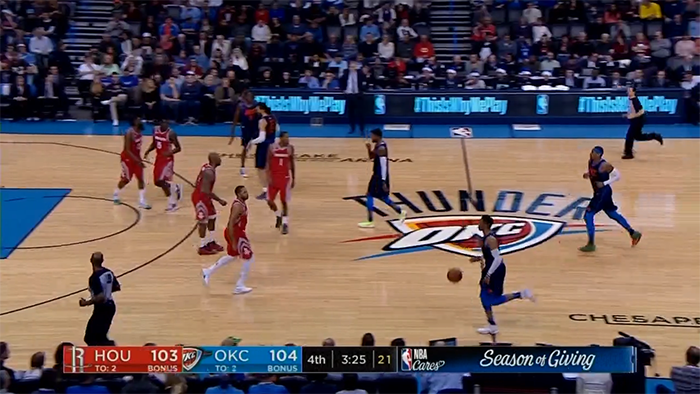 This set, and Oklahoma City’s struggles and successes running it, is emblematic of their season.